our Nursery Outlet and do not include HST. The delivery price depends on quantity and location. perishable product, it requires more care by our staff to keep it ready to go throughout the day. with tears and the like) for sale. These will retail at $1.00 a fold when available. Commercial Grade Sod is as described under General Information above, and is good quality turf. 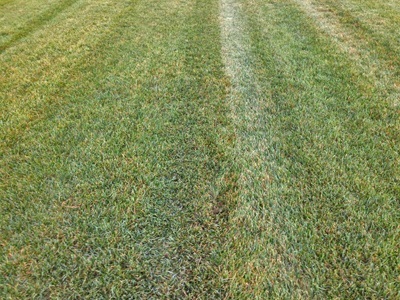 The Different Grades of Sod as they Appear: Click pictures to see larger images. 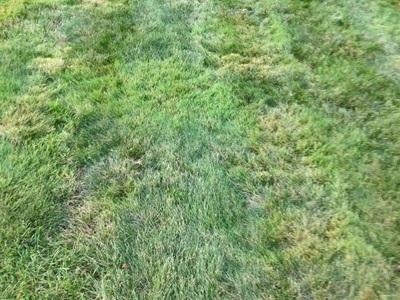 Elite Sod - Seeded with our bluegrass and fescue mix the bluegrass dominates in a well maintained lawn. No more than 5% unseeded grasses in the product. Commercial Sod - Seeded with our bluegrass and fescue mix. There may be up to 25% (by area) of non-seeded grasses in the final product. These show up as slightly different colour areas that normally show up most on days with heavy dew or when the lawn is stressed either by the weather or low maintenance. Utility Sod - This is usually taken from field edges where native grass species have crept in. 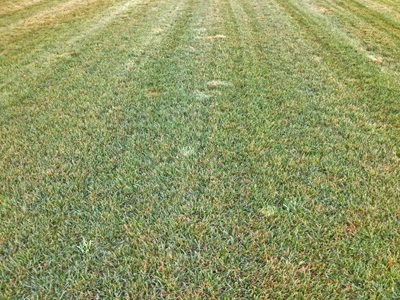 It matches many typical old established lawns. This is great for back yards or to economically finish any areas before fall. The best part is the price - it's cheap and it's green! 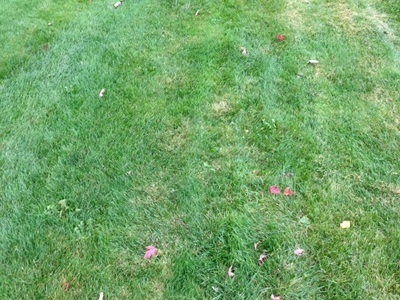 For Comparison: 10 year old lawn - This is a typical regularly maintained lawn (regular lime and fertilizer) that is around 10 years old. cost of diesel at the time the order is placed. It will be a percentage of the total delivery charge. Clients who order delivery of sod will be told the surcharge price before booking the delivery. If you recieve your sod on pallets, there is a $20.00 per pallet deposit that will be added. This deposit will be refunded upon return of the empty pallets.